In addition to being able to log into Speedy Route using your Facebook, Twitter, Google or PayPal account, we have now also added the ability to Login using your Amazon account as well. Simply click on the 'Login with Amazon' button in the Speedy Route login popup, and log in with your Amazon credentials. Then authorize Speedy Route to access your profile, and you will be automatically logged into Speedy Route. 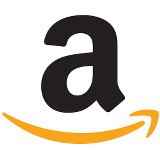 If you have an existing Speedy Route account with the same email address as your Amazon account, you will be logged in to that existing account. For new Speedy Route users, or if your Amazon account has a different email address from the one you have used with Speedy Route in the past, we will automatically create and confirm a new Speedy Route account for you.